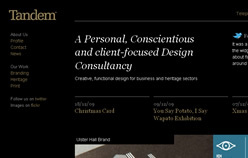 Actions speak louder than words so why not have a look around some of my past projects... If you like what you see why not get in contact and find out what I can do for you. 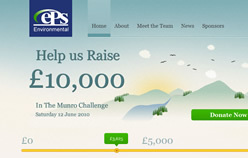 Eps Environmental wanted a fun, creative web site to promote, inform and record their fundraising progress raising �10,000 in the Munro Challenge. 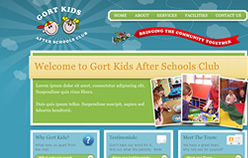 I created a simple fun brochure site for Gort Kids to promote their after schools club to parents in and around the Cookstown area. Working along with Tandem I built their design in HTML / CSS and added it to a content management system allowing them to update and edit the content themselves. 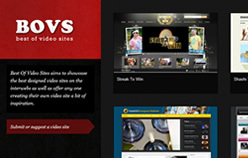 Best of Video sites showcases the best designed video sites available on the internet, allowing users to browse and find new content to enjoy online. 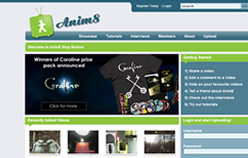 Anim8 Stop Motion is a resource site providing animators with a place to come together, upload their animations and enjoy interviews. 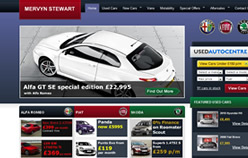 I created the design and front end code for Mervyn Stewart to be used with Bbluecubes automotive CMS. I designed the Eden Gallery brand and website while woking with Bluecubes. 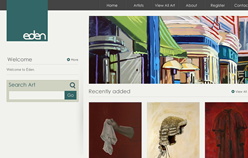 Eden Gallery wanted a clean simple design to showcase their art. 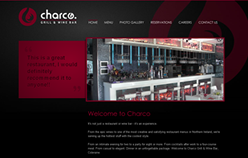 Charco wanted a contemporary design to match their new Bar & Grill resturaunt opening in coleraine. 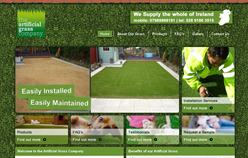 Neil wanted to set him self apart form other artifical grass companies while offering an easy to use website.